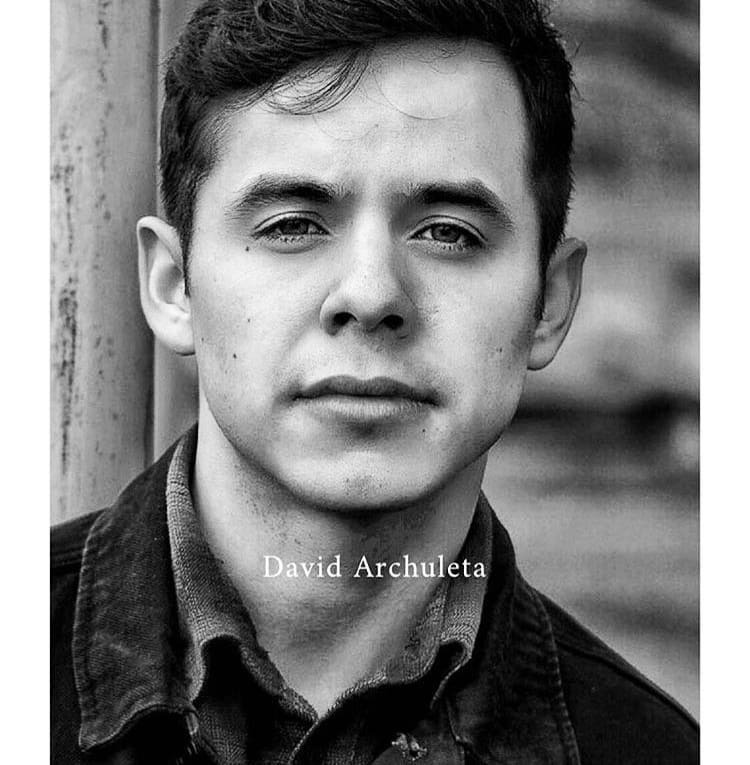 « David Archuleta ~ Spanish Face to Face Chat Translated! Idk why I couldn’t get the video up, but my little sister helped me. I know it’s not the most convenient place to do a video, but oh well. Pardon the razor burns if you notice them. I had a bad shave this morning and wasn’t able to get the job done properly. Dan Clark speaks to the troops all over the world and has performed in Iraq, Afghanistan, Kuwait and Africa. 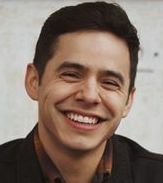 The format is a variety show where Dan shares one of his world famous stories from the Chicken Soup For The Soul book series, that sets up a song performed by David Archuleta, followed by comic relief in a five minute bit by Jason Hewlett. There are messages throughout, dealing with suicide prevention, divorce prevention and resiliency issues. 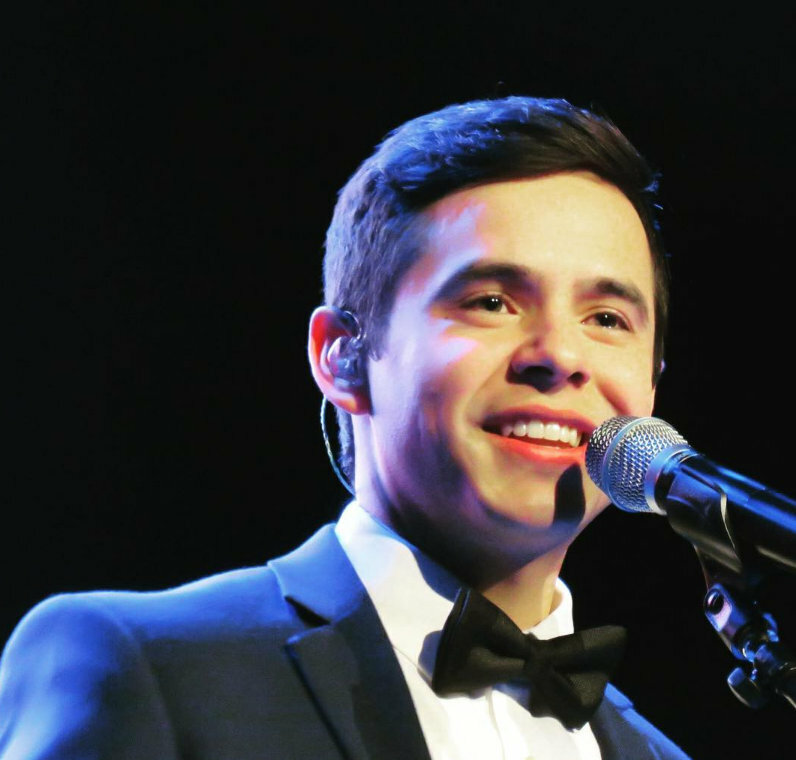 David’s song list includes “Bridge Over Troubled Water”, “Take Me Home” and John Lennon’s “Imagine”, mixed with his own pop hit “Crush” and more! Jason Hewlett pulls the funniest faces and impersonates Michael Jackson, Lady Gaga, Adell, among others. They leave on July 8 and perform for our combat troops 18 times on bases throughout Afghanistan, and in Kuwait, Bahrain, Ethiopia and Djbouti. 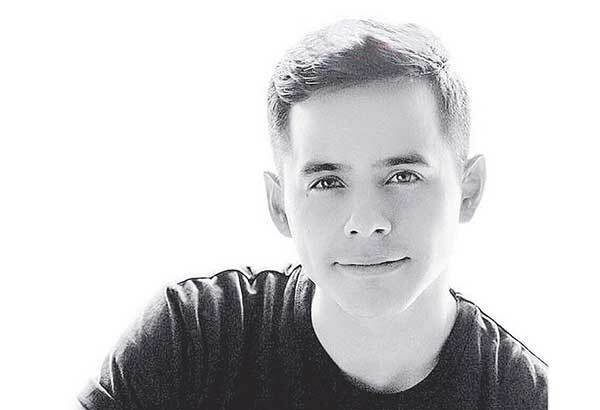 This entry was posted on Wednesday, July 2, 2014 at 7:12 PM	and is filed under @DavidArchie, Imagine, music, The Voice, TROOPS, vlog. 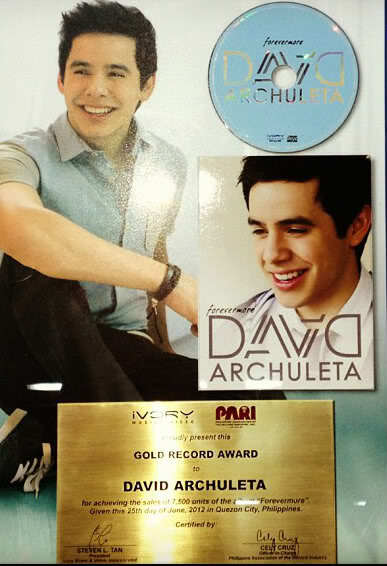 Tagged: #DA2014, David Archuleta, David Archuleta rocks! 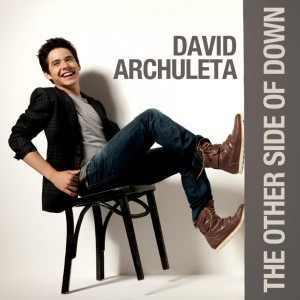 :), Gotta love him, Imagine, motivational, music, overseas, singing, Staying true, the Voice, troops. You can follow any responses to this entry through the RSS 2.0 feed. You can leave a response, or trackback from your own site. Project in Costa Rica we’ll see later this year?????!!!!! Dan Clark also mentioned “Everybody Hurts” in that Good4Utah.com video. just wow. Sky! I Know!! Everybody Hurts wasn’t mentioned in the write up but the guy says he singing that song! Gaaaahhhh! Love the the vlog! Someone needs to make a gif of “my sister’s goin’ ‘heeey whatcha doin?” Played that over several times. So exciting that he’s going to Costa Rica for a project manana and then next week off to tour the Middle East entertaining the troops! Please let there be video of every show! Dja and Gladys, thanks for the Spanish translation. You both rock! So David is on the move. Terrific! Gonna find himself a stage and sing some songs. This is what we have been waiting for. Let the fun begin! And soon! 111 degrees in Las Vegas today. I am melting. The troops are in for a well-deserved treat! And I hope we’re in for a treat too, if we’re lucky enough to get video. Chances are we will. After all there are 18 shows! Djafan, Thanks for getting this info up so quickly! Oh, and I want to say he is very brave to be going to Afghanistan and other countries in the Middle East to entertain our troops. God bless them and David and all who go with him. 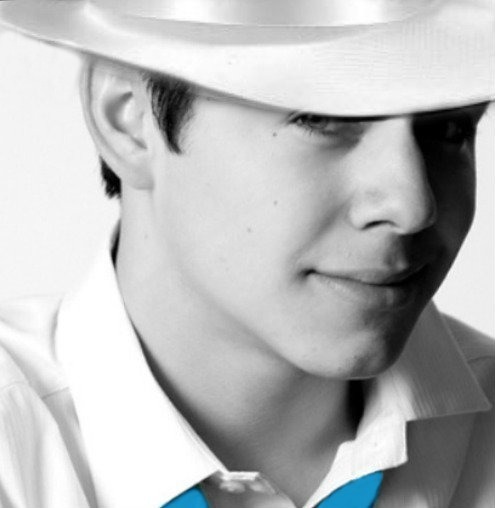 And I also want to say it was very brave of him to even go in his sister’s cave, much less do a video blog from there. That can befuddle any man’s brain. hahaha. All that stuff! Razor burn comment so funny! o man HE IS STILL DAVID ,DAYZEE THE BRIGHTHOUSE TECH WANTED TO NOW IF HE WAS OUR GRANDSON BECAUSE OF ALL THE PIC WITH DAVID HANGING EVERYWHERE IN THE HOUSE LOL YOU GOT TO LOVE HIM. 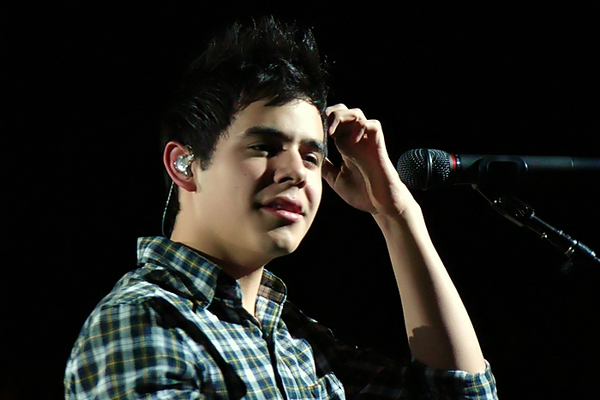 Which “Take Me Home” would you most like David to sing? I think david, doing what he wants, in the place he wants and when he wants. No pressure, no pressure, no pressure. It is the first time that he is not carrying a backpack full of responsibilities. I like the new David. That’s a hard one, Angelica. Bebe I agree …love the Phil Collins”Take Me Home”!! Thanks so much for all the info on this! 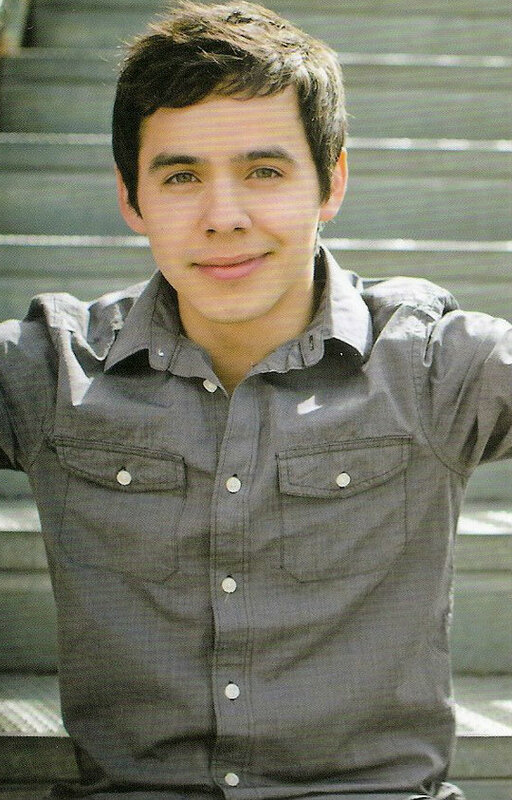 I think it’s wonderful that David will be part of an entertainment package for our troops overseas. It’s sooo like him to be a part of something like this. I am so looking forward to hearing and seeing him perform again, and Everybody Hurts is one of my favorites. I love that song! As for choosing one of the Take Me Home songs … I looked up the lyrics thinking it might help me figure out which one he would sing but it didn’t help. 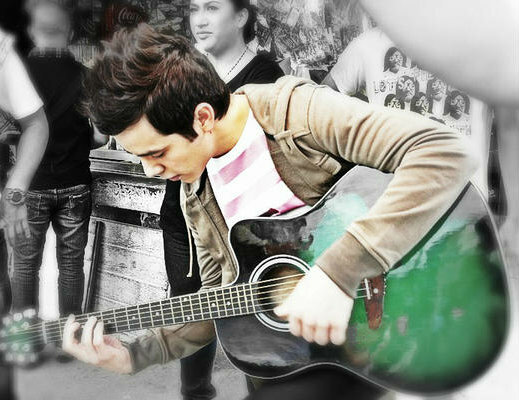 lol Like Bebe, I think the Phil Collin’s song would be great for David to sing. But then again, I could see him singing the other one too so I just don’t know. I’ll take either one though. I am excited for him and the troops, and of course for us! As far as that vlog goes, where do I start? haha The razor burn comment? The bathroom location? the picking up his sister’s things and showing us? And like Angelica, that comment about his sister had me hitting rewind. LOL He is so funny. Just watched the video again, he cracks me up. I wonder if he’ll be trying out a new song on the troops, that would be great. I too think it will be Phil Collins song that David will sing. John Denver’s which I love is more about country roads and W Va. In my opinion he will sing the deeper of the two in keeping with the other songs he will be preforming. Potluck, that makes perfect sense. Wonder if he’ll be taking his Nord? Kari, said she’d be out the country for fourth of July, i wonder if she’s traveling with David to Costa Rica? After watching the Phil Collins video, I thought, is this even a fair question? 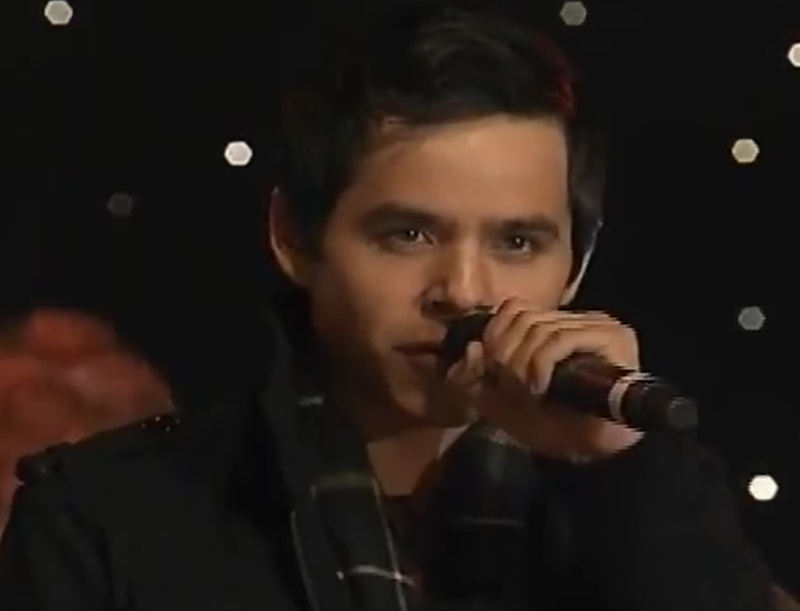 That is so David at the end with the audience sing along. I predict epic ownership of that song. What an opportunity!! This is right up David’s alley, giving service and recognizing others for their service. 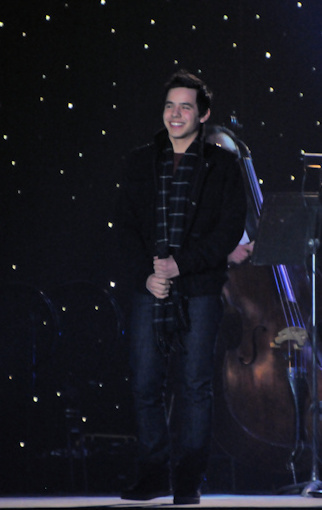 My jury is out on the ‘Take Me Home’ question… I like them both, and can see David doing either one of them. He would definitely put his own spin on either one. Dayzee, KC could use a little of that heat. It’s only 57* here, probably breaking an all time low for this date! Yesterday it was 93* on my deck and a storm and cold front came thru. Praying for safe travels today. Excited last night. Now the heightened awareness of nerves whenever he leaves the US. I got a lot done this morning though. Yes, that was a ‘vlog’. That was David getting in touch. An ease up in his storm of emotions. An appreciated surprise. Right in the middle of our July 1st celebrations and yours on July 4th. Have to remember that date. Is “Take Me Home” on his set list? Phil Collins is a favourite of mine (but yes if it is John Denver’s too). 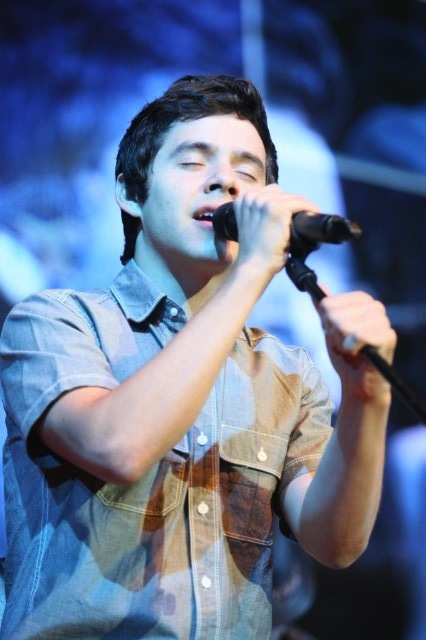 I just listened to the songs imagining David singing them. I hope someone writes him a fantastic song like that even though he makes them all his own. Your sisters are very pretty David! Stay healthy!! On with the journey. Angelica, my first thought when he mentioned his travels was “Eeeek! Dangerous!”. 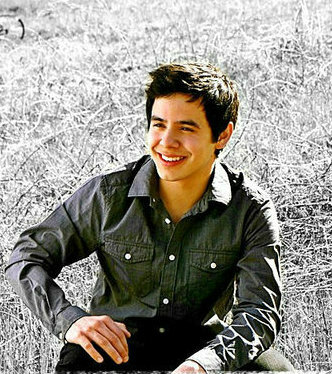 I always have to remind myself that we cannot confine David in bubble-wrap and constantly remove thorns from his path. David’s vlog is filmed from the reflection in the mirror? Also the direction of his buttoned shirt. Can’t make out the writing on the sign or on the bottles, though. no matter what way you see him!!! Wishing him safe travels. Time for Silverfox’s prayer, for sure. And, Abrra will the kitty be at the window once more? 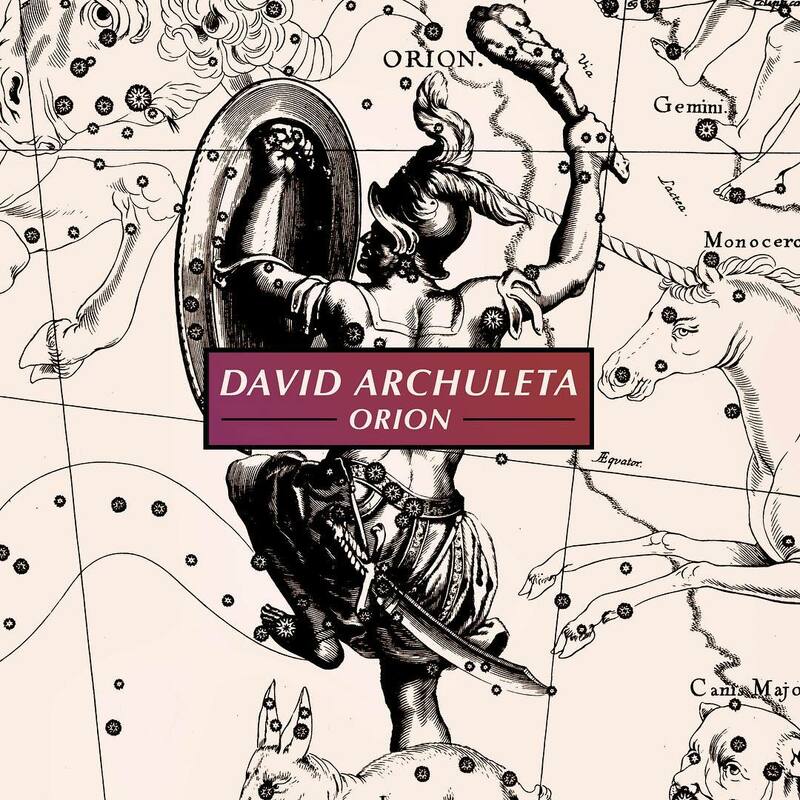 I’m so excited and happy for David and the opportunities that await. Safe Travels David! Praying for a great summer for David and us! Here is the link to the Spanish chat as transcribed by Gladys! I noticed right away that the video image was “flipped” because of the bathroom mirror. When he turned his head, his mole was gone! The writing on the door sign is backwards as well. So being the nerd, I flipped the video and sure enough the words are reading correctly and earlier in the video he turns and I can see his mole. A while back when he took a selfie with the church librarian, I saw that it was flipped as well. His face tends to look longer in the backwards mode. Sometimes phone camera will flip the image when its uploaded. The kitty is back watching for David’s safe return. All is right with the world..
Cloak him always in your protective arms during this time on his journey. Keep David and his voice healthy and strong as he fulfills his Destiny which was written in his Book of Life before he was born. David, have a good & restful night’s sleep with sweet & happy dreams. Thank you for all you do and for who you are. Keep with you all our love, support & prayers always. Contigo siempre! We are with you always! Thank you for your timeless prayer Silverfox and thank you for posting Abrra. David is on his way!!!! 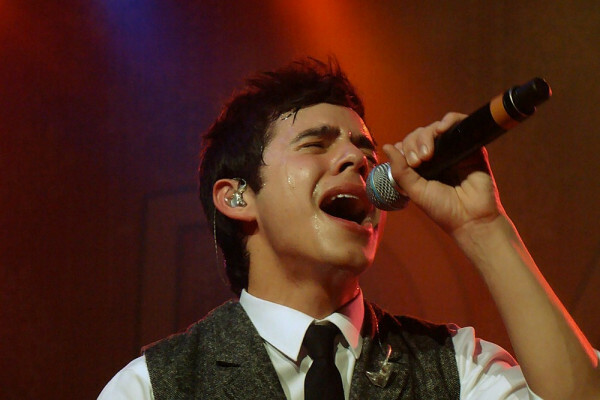 Totally saw david archuleta at the Texas airport and spilled my coffee all over me in front of him, go me! Arghhh! Bad thunderstorm here in NY. Power went out four times tonight so far. David’s message songs stand the test of time. Seems like he just came home and now he’s leaving again for Costa Rica. I’m sure it’s for a good cause. Thanks Abrra, for putting Kitty back on the job. I’m very nervous for David to be in Afghanistan and the Middle East. I hope those Air Force guys appreciate the talent that they are getting to see in our David, coming to visit them. Thanks so so much Gladys for the transcript of the Spanish chat, and thanks to DJAfan for translating for us. I see that Janel Woodbury did a transcript of the English chat for those who want to translate to other languages. I do! I do!Tawna 😀 hehe the entire video had me smiling. I am impressed with the tour David will be a part of for the troops.What a wonderful format! To perhaps preempt the problems that servicemen and women have when they return home, well it is a wonderful idea. I love that the songs David will be singing, play into Dan Clark’s storied themes.To think of David’s beautiful voice, connecting the message for our troops with those songs is amazing and give me goosebumps. Mr Clark knows what a gem our David is,for he seemed very excited to have David on this tour. 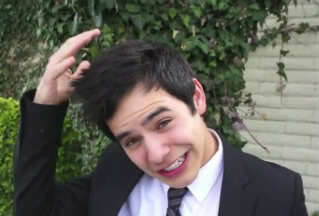 David will ‘bring it’ for the troops he loves so much. So David has gone to Costa Rica (Tawna, his pronunciation of that is delightful) and he is doing something that we will find out about “later in the year”. That fellow is still trying to teach us patience. 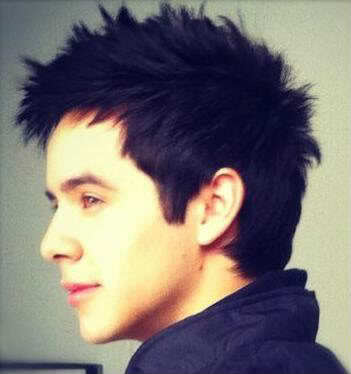 My problem is, what I have the least patience for is hearing news about David. Jan, we had a cold front today. Only reached 108. Still melting. Dayzee, yes they do have some hot weather out there! I was out there one time with it being 115*. Hot hot hot! KC doesn’t get that hot but it sure does have high humidity and that is what I can’t stand. One is as bad as the other with one hot and dry like an oven and the other any temp and just wet all the time unless air or furnace is on. I have to say that I lied about not being able to come out that way .haha 🙂 Had a chance to go to Laughlin, free, and couldn’t pass it up. Even though I won’t be with my family on the 4th, I’ll be with some friends. So I will be close, but not close enough. 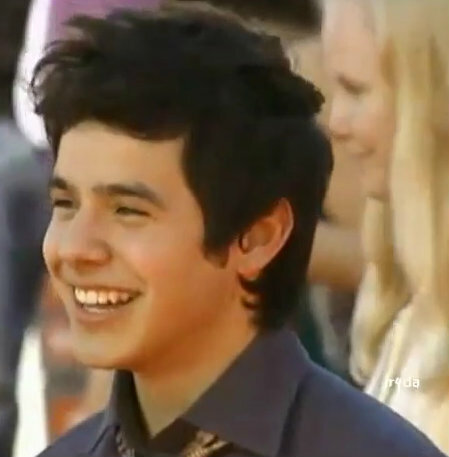 Love the way Costa Rica just rolls off David’s tongue, also! That accent is something else. Have a safe and fun 4th everyone! Oh, I won’t have my comp with me so have to skip chat this week. 😦 Adios! Have a safe and fun one! Have a safe and pleasant holiday! Keep this guy in your prayers? Abrra,thanks for the always perfect video for the 4th! Nice to get a Happy Fourth of July tweet from David!! May you all be safe and have a fun filled 4th! I love this country! My prayers are going up for David while he is away in his journeys to Costa Rica and entertaining the troops. Thanks admins, glad to see Silverfox’s prayer and the cat keeping safe watch. Well, I guess they’ve got internet in Costa Rica. That’s a good thing. HAPPY 4th of July everyone! God bless America and the troops who keep us free at great sacrifice. David going to perform for them soon brings that truth home to me more this 4th. Have a wonderful Independence Day!! Prayers for David in his travels and experiences. Prayers for our troops here and abroad.. God bless them in their trials. Kari tweets a picture as her car whizzes by a Costa Rican flag. I dont’ have a clue what’s doin’ in Costa Rica but if he says we will find out more later, I can wait. 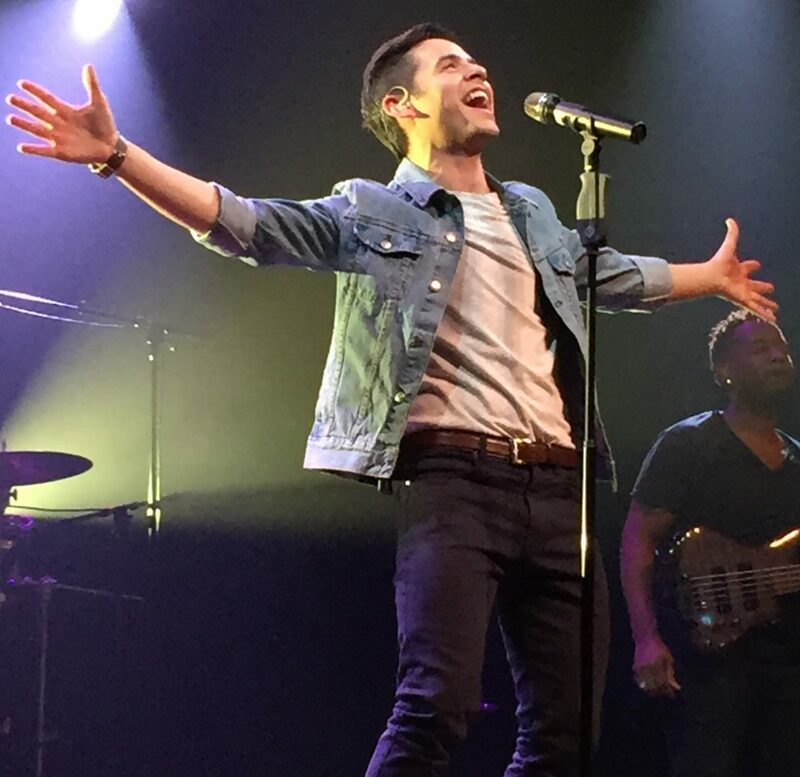 The servicemen and women surely have video devices, so I bet we will see some of his songs from the USO shows. 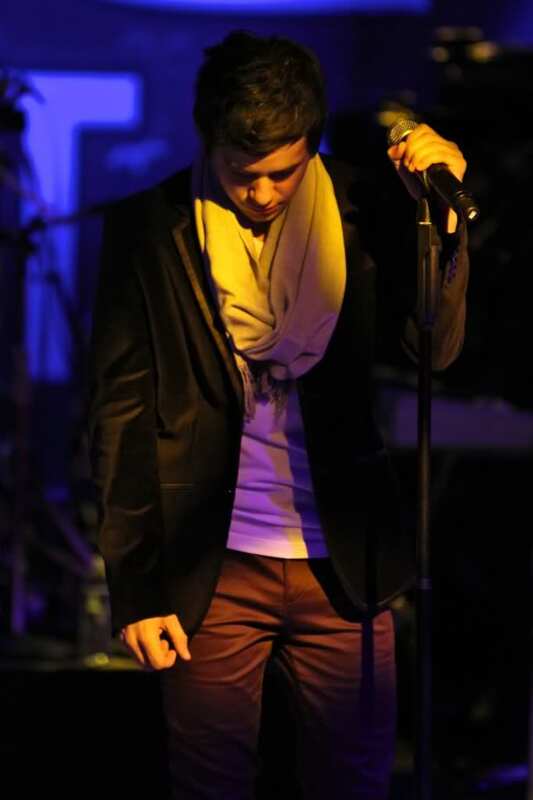 It’s so wonderful that he has this opportunity to perform for them. Patty Ann posted this on twitter. It’s lovely and so right for today. 49. What a beautiful photo edit by pabuckie, and so fitting. Happy 4th of July to all of you, my dear David friends! Sarah Evans, The Muppets, Frankie Valli & The Four Seasons, Patty LaBelle, Michael McDonald, Jordin Sparks…. Thank you for the video Bebe. So much beauty there. Jans!!!!! Here’s hoping you’re right!! It makes me a little nervous to see things chained and a huge waterfall….. please be careful, David!!! I hope he sings the one by Amit Paul. 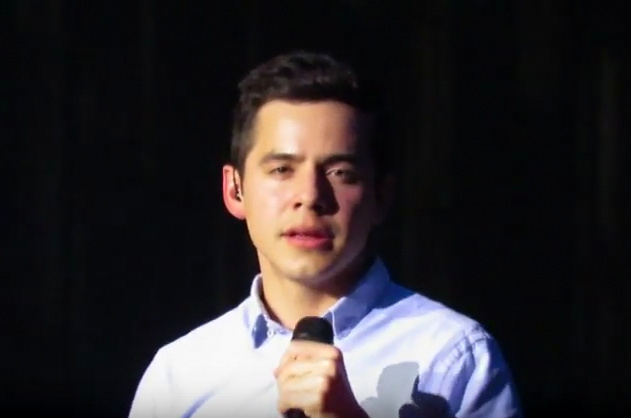 Loved this vlog – to hear him actually laugh – to see him be silly – to get that sweet closed-mouth smile as he talks about singing to the troops “this summer” – the new cadences of his speaking voice. It felt like he came a little closer this time – and I am humbly grateful.